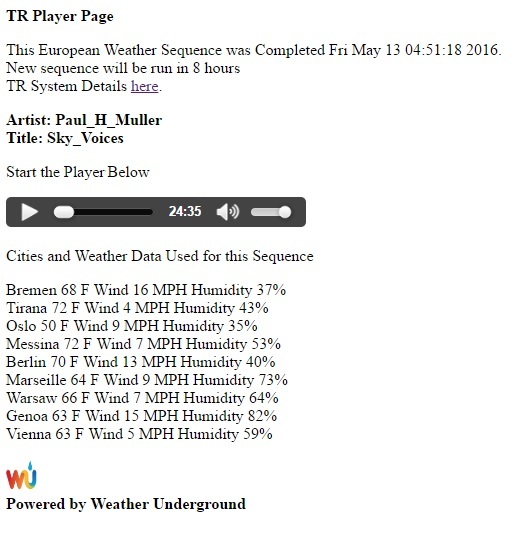 The listener is invited to start the player and the piece has a duration of 18:52. In the above example the track was created by TR using stock prices from the NYSE. After 8 hours, the tracks will be re-sequenced with current stock quotes data to provide a new version of this piece. Any browser than can play .ogg files from a simple HTML audio link can access music on the TR server.